This age-defying eye cream is clinically proven to hydrate and smooth fine lines and wrinkles around the delicate eye area part of the first signs of ageing. With a 3-Peptide Complex, gardenia stem cells and green tea caffeine extract, it helps protect skin and reduces the appearance of puffiness around the eyes. 81% of women agree the skin around their eyes feels smooth* 73% of women agree the fine lines and wrinkles around their eyes appear reduced* SMOOTHS A 3-Peptide Complex increases skins suppleness and reduces the look of fine lines and wrinkles. PLUMPS Gardenia stem cells and sodium hyaluronate help protect and enhance skin plumpness and hydration. DEPUFFS Caffeine extract from green tea revitalises skin and antioxidant-rich argan oil helps keep skin looking healthy, reducing the appearance of puffiness around the eyes. RELAXES Frankincense is traditionally used during relaxation rituals and can help create a moment of mindfulness. *Based on a consumer trial on 102 women, after using the Eye Cream for 4 weeks. Directions Apply to clean skin morning and evening. Using your fingertip, dot a small amount of cream around the eyes, then lightly dab in until fully absorbed. 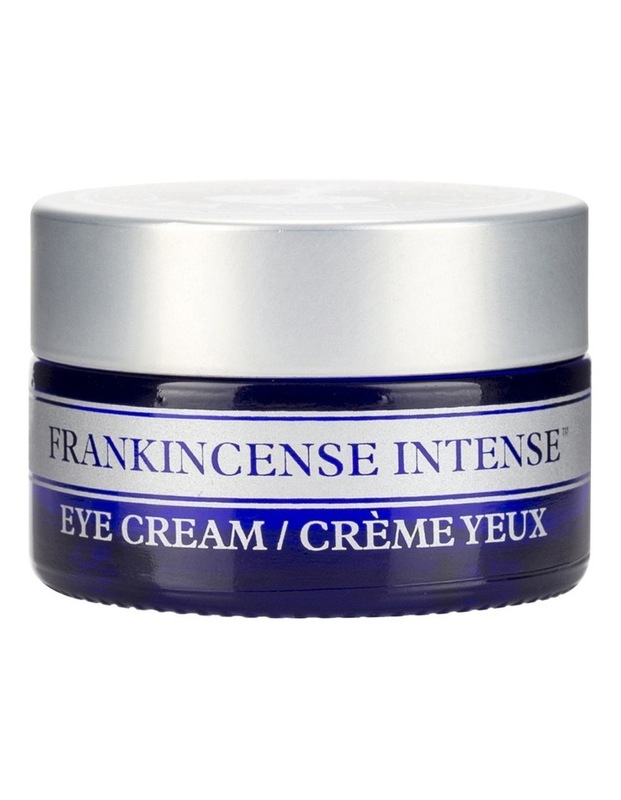 For results youll love, use after Frankincense Intense Age-Defying Serum and before Age-Defying Cream. Aqua/Water, Macadamia Terifolia Seed Oil*, Glycerin, Butyrospermum Parkii (Shea) Butter*, Cetearyl Alcohol, Tapioca Starch*, Theobroma Cacao (Cocoa) Seed Butter*, Glycine Soja (Soybean) Oil*, Argania Spinosa Kernal Oil*, Caffeine, Vitis Vinifera (Grape) Seed Oil*, Adansonia Digitat Seed Oil *, Ricinus Communis (Castor) Seed Oil*, Arachidyl Alcohol, Glyceryl Stearate, Levulinic Acid, Behenyl Alcohol, Cetearyl Olivate, Arachidyl Glucoside, Aloe Barbadensis Leaf Juice Powder*, Sorbitan Olivate Potassium Sorbate, Tocopherol, Acacia Senegal Gum, Dehydroacetic Acid, Sodium Hyaluronate, Kanthan Gum, Helianthus Annuus (Sunflower) Seed Oil, Boswellia Carterii Oil, Commiphora Myrrha Resin, Glucose, Palmitoyl Tripeptide-5, Dextran, Citric Acid, Trifluoroacetyl Tripeptide-2, Curcuma Longa (Turmeric) Root Extract, Sodium Levulinate, Citrus Aurantium Bergamia (Bergamot) Peel Oil*, Citrus Nobilis (Mandarin Orange) Peel Oil*, Citrus Aurantium Amara (Bitter Orange) Flower Oil, Gardenia Jasminoides Meristem Cell Culture, Boswellia Neglecta Resin Oil*, Commiphora confusa Resin Oil*, Caprooyl Tetrapeptide-3, Limonene, Linalool. *Organic. From essential oils. Made with 82% organic ingredients.